After divorce, how can one rediscover themselves and begin to once again open up to the possibility of love? Divorce happens because we’ve lost sight of who we are. It’s important post-divorce to date yourself. Take the time to really know who you are. Fill out a dating profile. Identify what it is that brings you joy. Cultivate the ability to be with yourself. Forge a strong foundation of self-love and self-belief within yourself. Engage in self inquiry and discovery. Become reacquainted with you are now. This is the foundational relationship for every other relationship that you will have in life and that if you wish to move on into greater levels of love and intimacy, then you must first take the time to get to know who you are. I’m often asked how, after divorce, one can rediscover themselves and begin to once again open up to the possibility of love. Divorce often happens because we’ve lost sight of who we are. We fail to recognize that life is a progression and a natural evolution. We continue to relate to ourselves as a past form of whom we are or a past fragment instead of being fully immersed in the present moment experience of life and living. It’s important post-divorce to date yourself. To begin to take the time to really know who you are and to begin to discover what your likes and preferences are. This happens over time. Fill out the dating profile. Begin to spend time with you. Identify what it is that brings you joy. Identify what your passions are. Begin to once again get in touch with what life looks like as you navigate your way through being single and through being with yourself. 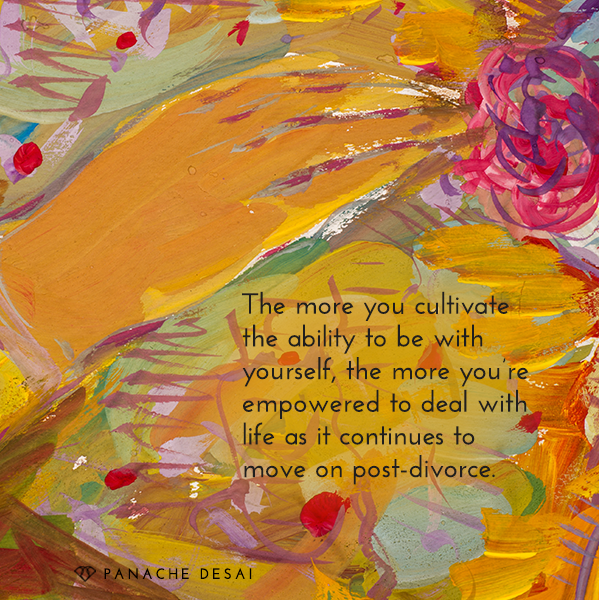 The more you cultivate the ability to be with yourself, the more you’re empowered to deal with life as it continues to move on post-divorce. Ultimately you begin to realize that it isn’t about having a partner or going on dates. It’s about forging a strong foundation of self-love and self-belief within yourself so that you are whole and complete and so that you are engaging in life with spaciousness so that there is an absence of need. What is it that lights me up? What allows me to wake up in the morning filled with excitement? What qualities do I wish to experience as a part of my life? What core values do I wish to share and embody? How do I choose to live in each moment? As you begin to engage in this form of self inquiry and as you begin to once again become reacquainted with who you are now, you will start to create a profile, you will start to be able to understand the time requirements necessary so that you can begin to feed your relationship bank. 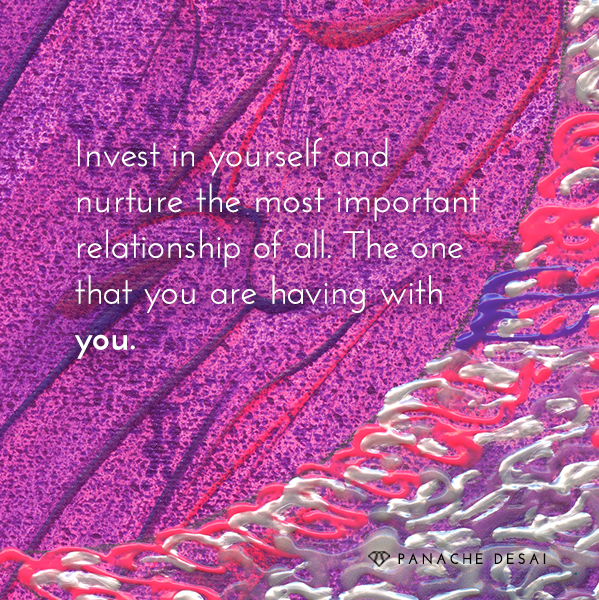 So that you can begin to once again invest in yourself and nurture the most important relationship of all, the one that you are having with you. I’ve discovered that this primary relationship is the foundational relationship for every other relationship that you will have in life and that if you wish to move on into greater levels of love and intimacy then you must first, please take the time to get to know who you are. Commit to a pause. Commit to a time of exploration. Find the right support system for you. Begin this inquiry. Allow yourself to know yourself and in doing so, create the many avenues and doorways for love that you want to experience; that you know in your heart is always available, that you are growing into. Divorce isn’t the end of anything. It’s the beginning of empowerment and it’s the beginning of loving yourself more completely and more fully than you ever have before. Learn something about yourself. Fill out this dating profile!